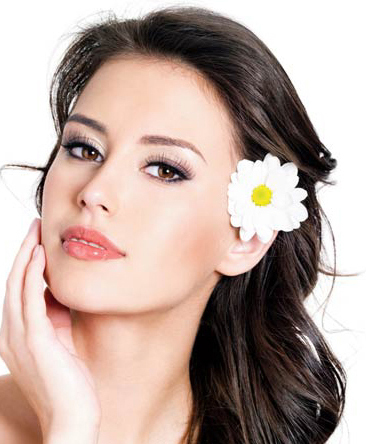 Health Care Professionals around the Globe can unanimously agree in today’s hectic world we are constantly exposed to environmental and physical stressors which negatively affect our skin. DMG brands introduces a solution to these concerns and wants to bring some “calm” to YOU and your skin. Our products are Natural, so you can rest assured that you are being environmentally and socially responsible when you purchase them. Give our products a try to help your skin be the best it can be. This amazing detoxifying clay mix is effective in deeply cleansing your skin by drawing out embedded impurities and is especially helpful in purifying oily and combination skin or skin that is prone to chronic acne, wet Psoriasis or Rosacea. This product aids in drying up pustules quickly to help speed up healing. 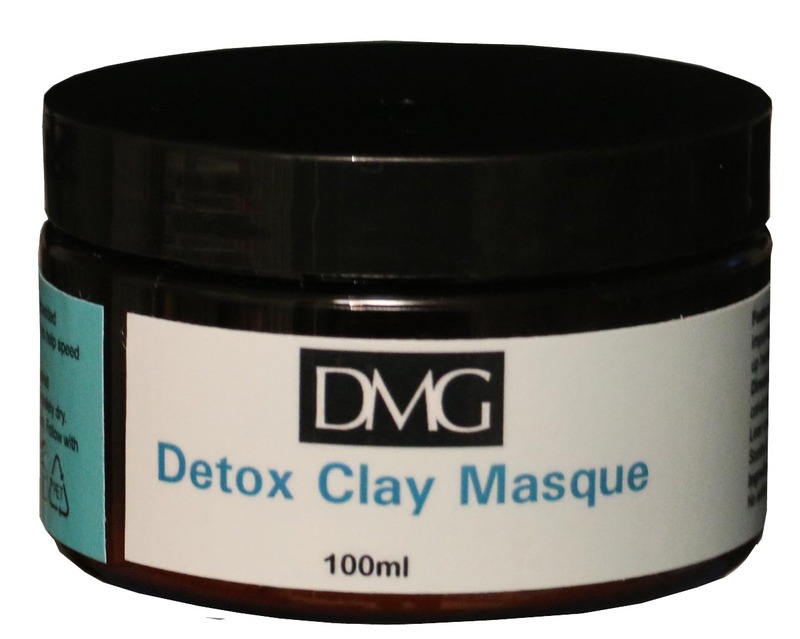 Detox Clay Mud is brought to you in dry form so you can blend it with water (or use Skin Soothe Spritzer) thus you only use what you need each time. If your Toenails are brittle and turning white or brown you may have what is commonly called nail fungus or Onychomykosis. At Dmg Products we have successfully eliminated this Fungus from nails that were infected for years and in some cases over 30 years! 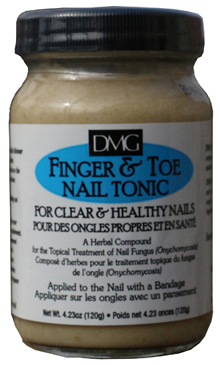 We proudly present this amazing new Herbal remedy wich is applied to the nail for between 7-10 days. The cure rate since it’s discovery in 1999 by Emery Health is 100% The results are Clear and healthy nails. DMG SKIN ZINC will help reduce inflammation, soothe dry skin, boost cell renewal and irrigation, restore balance for skin prone to psoriasis, eczema, rashes and other blemishes toward achieving healthy, glowing skin. 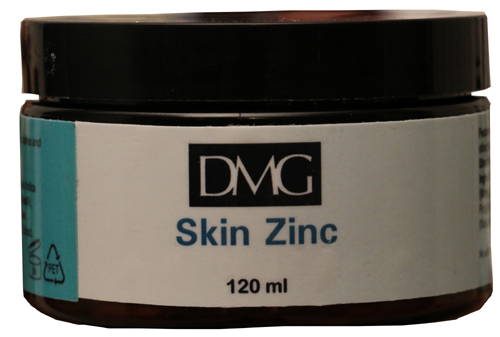 DMG Skin Zinc is formulated with 15% ZINC OXIDE and ORGANIC COCONUT OIL. Eczema, Psoriasis and Acne-prone skin need protection from harsh, dry environmental conditions even more so!! Formulated to help bring much needed relief and protection to dry, itching, scaling, inflamed and acne skin. A special blend of selected ingredients tradionally known for anti-inflammation, anti-bacterial, anti-microbial and scar-fading properties. Traditional European naturopaths soak or boil botanical material to make infusions and decoctions for bathing skin affected by eczema, psoriasis, and acute acne. We have simplified the process by bringing this soothing relief to you in a spritz Bottle. dispersal. Non-greasy, soothing, spa massage quality, body aloe gel with menthol for a cold rub effect. Allow your senses to be eased and soothed by the calming scents of this delicate blend of precious floral waters.